Did you know that you can set up the pool equipment to virtually run itself through computer automation? remote control. 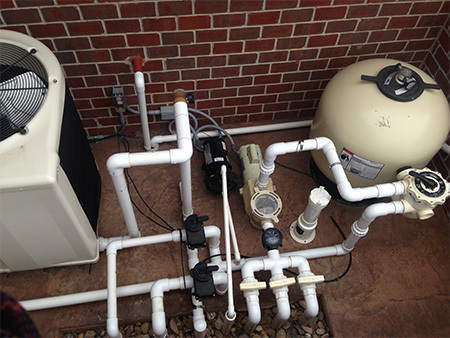 These systems operate pool lights, landscaping lights, security lights, filtration and sanitation systems (salt chlorinators) (pumps) waterfalls, and fountains. All these features can be set on custom time schedules for better efficiency and security. You can even control these systems with your smart phone. Yes there is an APP for that. We offer weekly maintenance and service on all pools that we build. We specialize in automatic cover replacement, winter covers, vinyl liner replacement, and heater service/replacement. Seasonal pool opening and closing. Pool Trend doesn’t just build pools…We build outdoor environments!